As scorching temperatures continued and Texas electricity use reached another all-time high, the state grid operator initiated the first step of emergency procedures today, seeking power from other grids, including Mexico. About 20 power generation units, accounting for around 3,000 megawatts of capacity, were unavailable today during unplanned outages, adding to the strain on the grid. Today's temperatures soared well past 100 degrees, and it's not likely that the situation will get better Wednesday or Thursday unless some thunderstorms pass over a major metropolitan area, like Houston or Dallas, to lessen demand. At a 4 p.m. press call, Kent Saathoff, the vice president of system operations for the Electric Reliability Council of Texas, the state grid operator, said that if the grid lost another 300 megawatts of power, then ERCOT would call for step two of emergency procedures: cutting the power to industrial customers that, under contract, agreed to be dropped in dire times. That would provide 1,000 megawatts to the system, which was facing demands of nearly 68,000 megawatts — well past yesterday's record-setting high of 66,867 megawatts — this afternoon. Saathoff called the energy demand a concern, but not critical. It's at least that for real-time wholesale electric prices (the amount that generators are paid on the spot market to produce power), which reached the cap of $3,000 per megawatt-hour for the second straight afternoon — and lingered there, today, for an hour and a half. While consumers do not have to pay that amount now, the higher prices may be passed on to them in the long run. To prevent steps two and three from happening, Saathoff stressed energy conservation from consumers during the hours of 3 to 7 p.m., when air conditioning is blasting, for the rest of the week. ERCOT already called for less electricity use during these times yesterday, but Saathoff said it's hard to tell whether people are actually using less. About 1,800 megawatts of energy came from wind today. 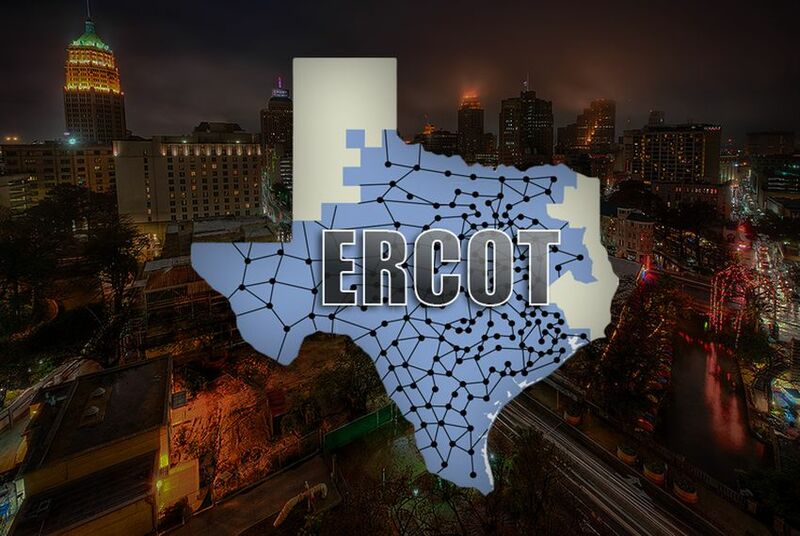 ERCOT typically depends on about 800 megawatts during peak conditions.